The 1st July marks the 100 anniversary of first day of the Battle of the Somme. Lasting from the 1 July to the 18 November 1916 it was the largest battle of the First World War on the Western Front. More than one million men were wounded or killed. Here we remember John Charlton who died on the 1st day of the Somme, and his brother Hugh who was also killed in action in the same year. Both brothers were former students of Armstrong College (later to become part of the University of Newcastle). 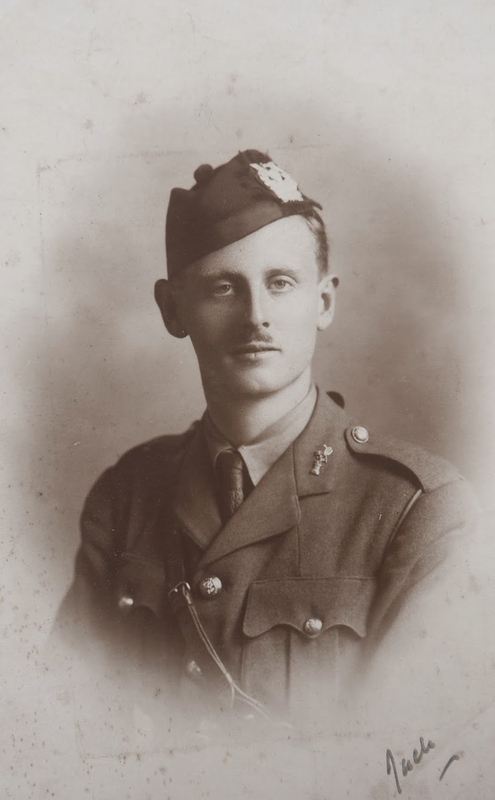 Captain John Macfarlan Charlton was killed on July 1st 1916, on the 1st of July, the first day of the Battle of the Somme. He was 25 years old. Seven days earlier is elder brother Hugh had also been killed in action. Their father John was an artist and renowned painter of rural life and many of his paintings are still held by galleries in the local area. Both sons went on to develop their own artistic careers and also to share their father’s love of the natural world. 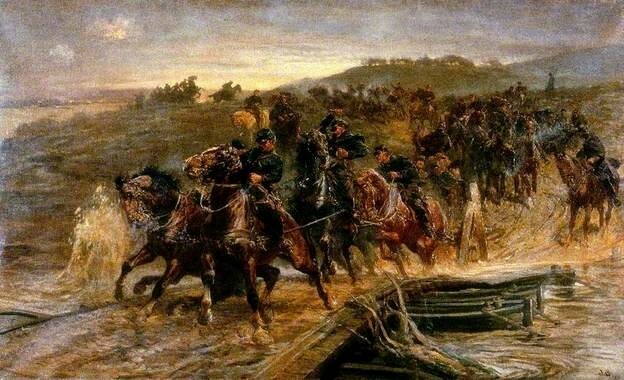 At the outbreak of World War One John Charlton Snr he completed two paintings recording the early days of the war, French Artillery Crossing the Flooded Aisne (1915 – owned by Laing Art Gallery, Newcastle upon Tyne) and Retreat from the Marne (1915 – owned by Shipley Art Gallery, Gateshead). Shortly after his sons’ deaths however, on the 10th November 1917, he himself died at the age of 68. “He felt the loss of his two sons profoundly,” read his obituary in The Graphic. John was a Captain in the Northumberland Fusiliers, 21st Battalion (2nd Tyneside Scottish), enlisting on 11th November 1914. Hugh meanwhile received his commission in August 1915 as Second Lieutenant in the Northumberland Fusiliers, 7th Battalion and entered France on 13th March 1916. Hugh was killed in action on 24th June 1916 aged 32 in West-Vlaanderen, Heuvelland, Belgium. He was struck by a bomb from a trench mortar near Whychaate. Seven days later, John was killed in action, on his 25th Birthday. 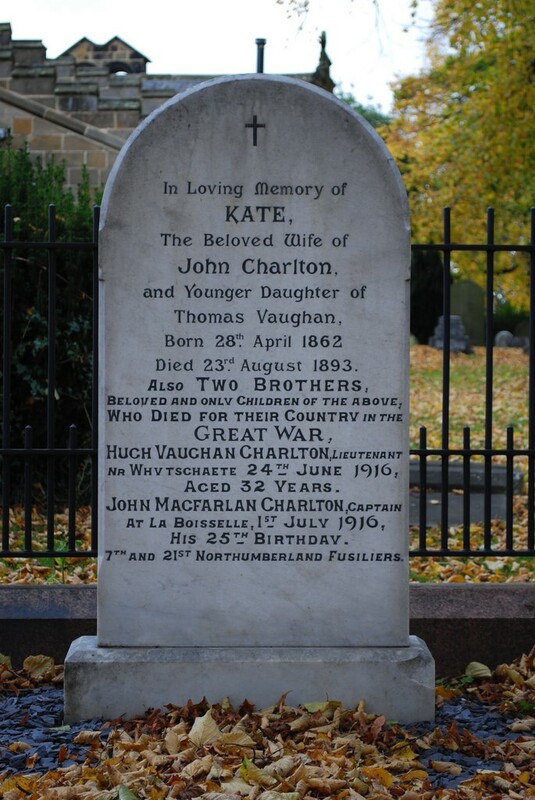 Thank you to our ‘Universities at War’ volunteer Sam Mitchell for researching the Charlton brothers for this project. This entry was posted in Uncategorized by nspeccoll. Bookmark the permalink.